I don't have any old terra cotta pots lying around to repurpose, but this mosaic pumpkin is fun enough that it might be worth hunting some down or purchasing them new. This terra cotta pumpkin is perfect for your outside Halloween decorations and can stay out on the porch through Thanksgiving too. 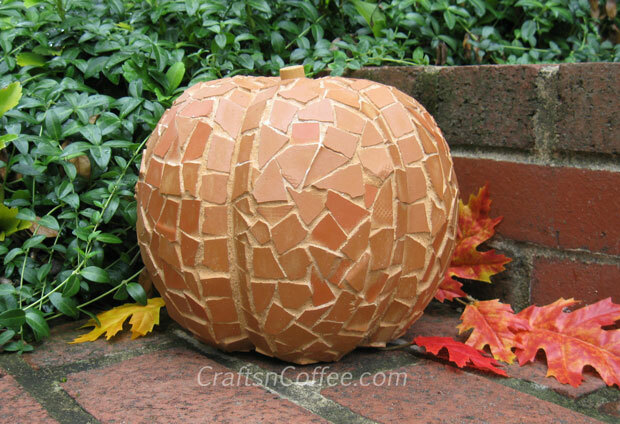 You can check out how to repurpose old pots into a terracotta mosaic pumpkin over at Crafts 'n Coffee.